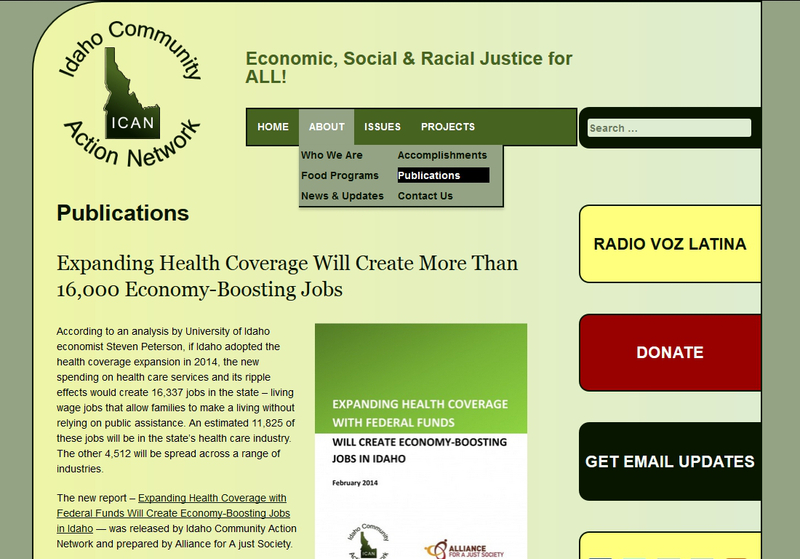 Idaho Community Action Network | Building Websites for the People! 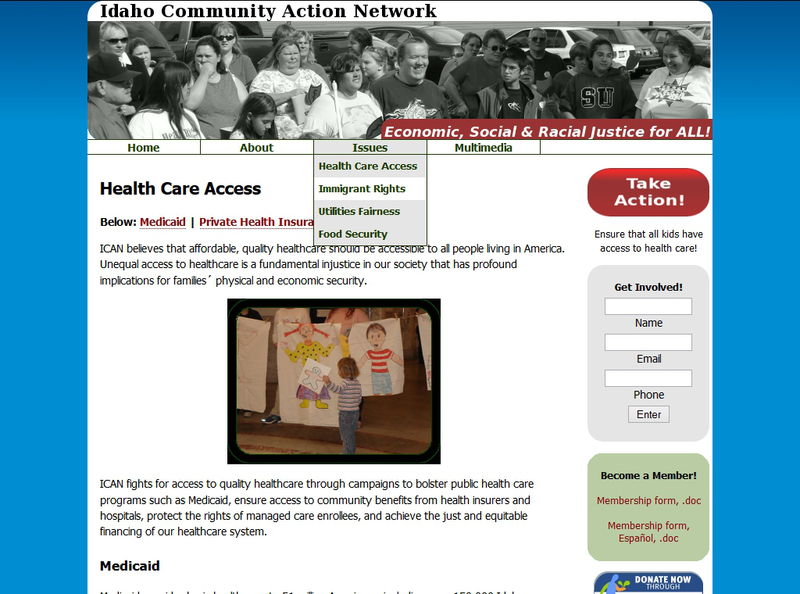 Idaho Community Action Network‘s organizational website has been featuring my work since 2008. 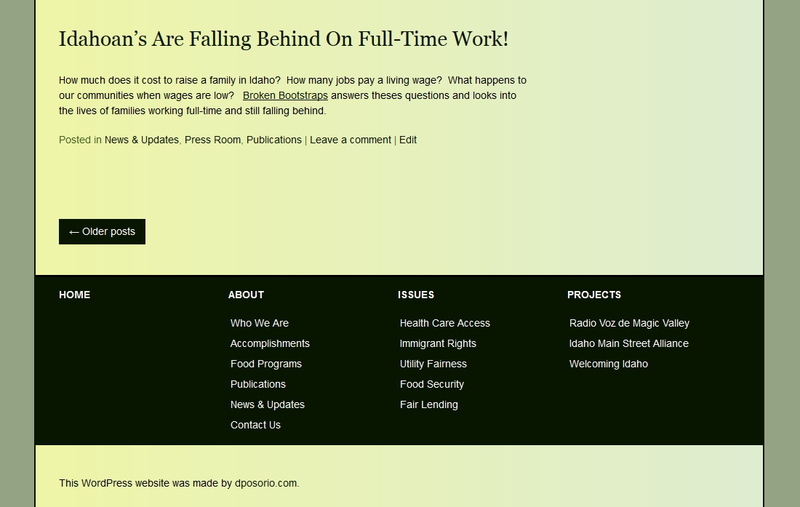 In 2011, I redesigned it and rebuilt it to run on WordPress. I used GIMP to make a cleaner, crisper, and updated logo for Idaho Community Action Network. 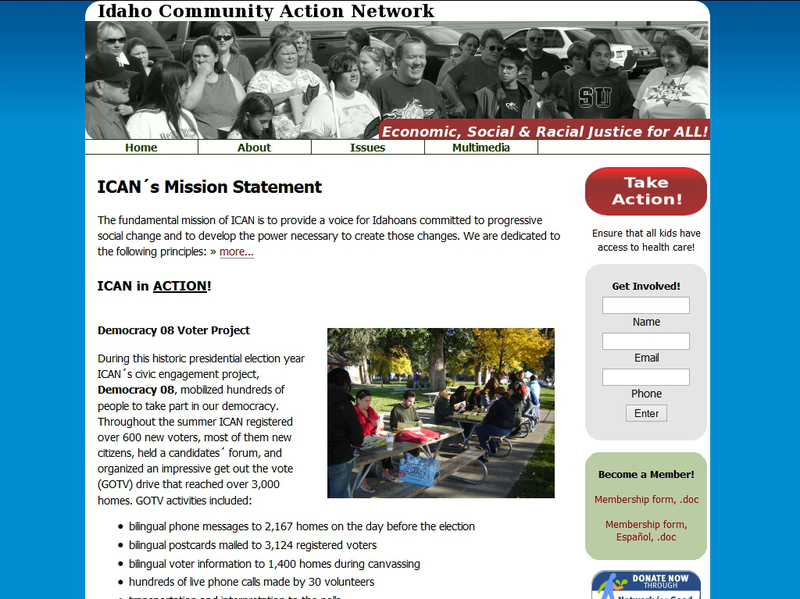 This organizational website I made for Idaho Community Action Network is the last one I made before switching to WordPress. 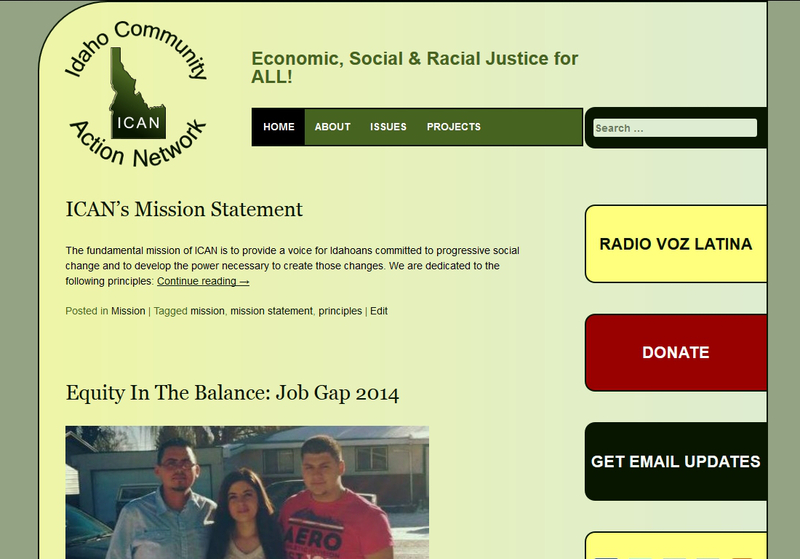 This entry was posted in Portfolio and tagged Idaho Community Action Network.